Los Cabos, Mexico (Oct. 6, 2016) – To celebrate the upcoming debut of The Towers at Pacifica, a “resort within a resort” that will elevate the adults-only, all-inclusive property to the ultra-luxury category, a premier, amenity-laden golf package – Towers and Tees – has been created for avid players who want the best. 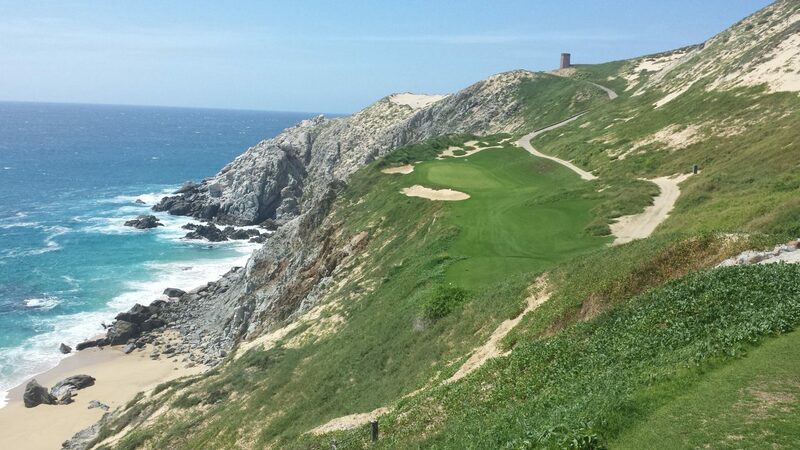 The cornerstone of the program is unlimited play at Quivira Golf Club, the dazzling, internationally-acclaimed Jack Nicklaus Signature golf course that offers more oceanfront exposure than any other course in Los Cabos. This majestic layout, stretching to 7,139 yards (par 72), begins at sea level, scales sheer granite cliffs high above the roiling Pacific, meanders through massive dunes, rambles through desert foothills, and returns players to the beachfront at the finish. Complementing the course is a handsome thatched-roof clubhouse and a double-ended driving range and short game practice facility within earshot of the rolling surf. The Towers at Pacifica, a multi-building expansion with beautifully appointed accommodations, has a range of enhanced VIP amenities, including 24-hour butler service. Trained by the British Butler Institute, the world’s most exclusive butler and front-of-house training school, Pacifica’s butlers, also known as “artists of service,” are on hand to provide personalized luxury experiences, including personal in-room check-in and check-out as well as unpacking and packing services. They’re also available to accompany guests on excursions to nearby Cabo San Lucas. Need assistance finding the only shop in town that carries authentic Cuban cigars? The most reputable fishing charter captain? The most treasured tequileria? The resort’s butlers will advise every step of the way. Following the round, golfers can head for new multi-level Towers building featuring a gourmet restaurant, bar, and outdoor beach lounge on the ground floor; a fitness center on the second floor; and the Towers Lounge on the third floor. Accessible via sky bridge and available exclusively to guests of The Towers, the lounge will offer unique culinary experiences daily, handcrafted cocktails, and dramatic ocean views. For reservations access www.pueblobonito.comor call 1-800-990-8250 to customize a visit. Pueblo Bonito Oceanfront Resorts and Spas has eight award-winning resorts in two destinations, Cabo San Lucas and Mazatlán, all offering luxury all-inclusive options. Each of the properties has its own personality, design and ambiance, yet all share the same high level of impeccable quality and distinguished atmosphere. 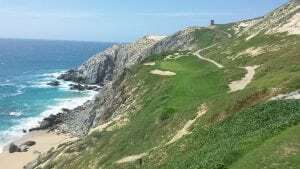 For more information visit www.pueblobonito.com, www.quiviragolfclub.com and find us https://www.facebook.com/PuebloBonitoResortand follow us on Twitter @PuebloBonito.